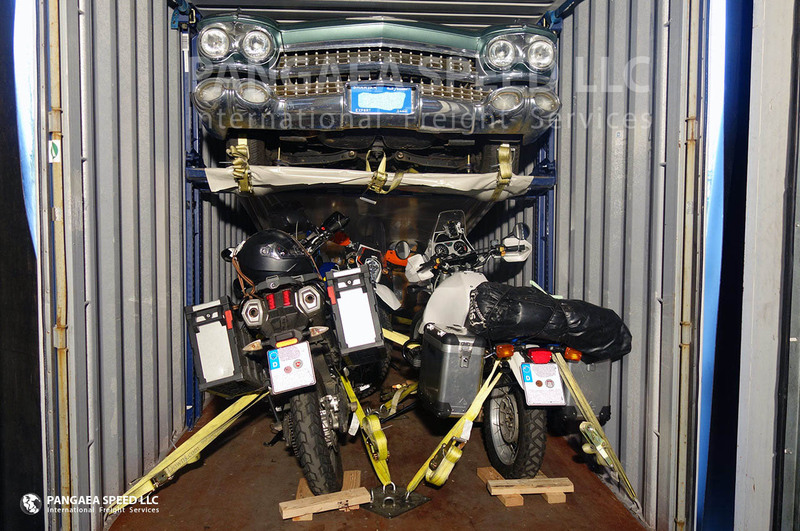 Cars | Household goods | Motorcycles | Commercial cargo WEEKLY CONSOLIDATED CONTAINER SERVICE FROM JEBEL ALI TO SOUTHAMPTON. the Middle East to Great Britain. 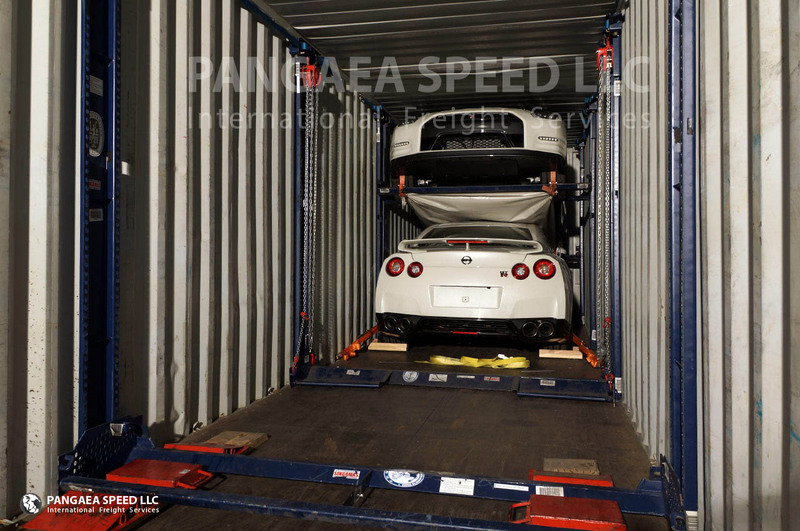 Shipping cars from the Middle East to the United Kingdom is easy and requires only a little preparation. will guide you through the process and will arrange the pick up from your door or from the RTA office. Our hauliers are well chosen, operate with technical maintained recovery trucks, speak English and will make photos and condition reports at the time of collection. However, you are welcome to drive your car by yourself to our dedicated vehicle logistic warehouse in the Jebel Ali Freezone. 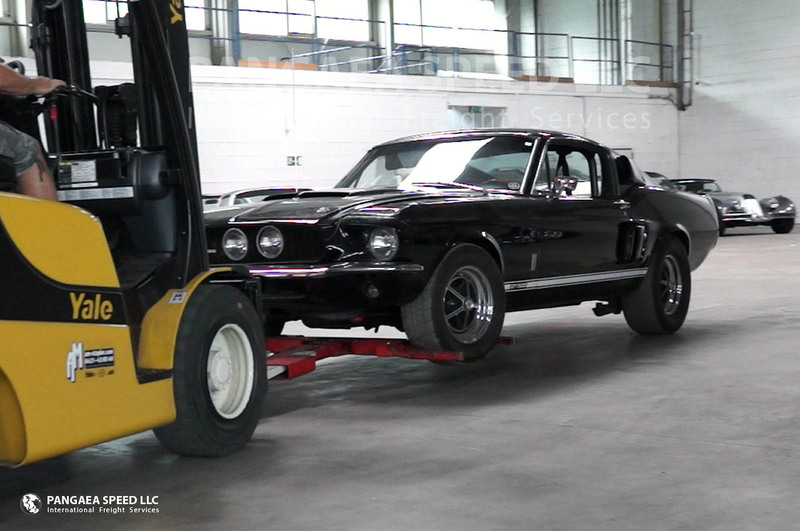 By using the revolutionary R-Rak shipping system for safe and secure loading of cars into containers, we assure minimal damage rates and are proud to offer you lowest insurance premiums. 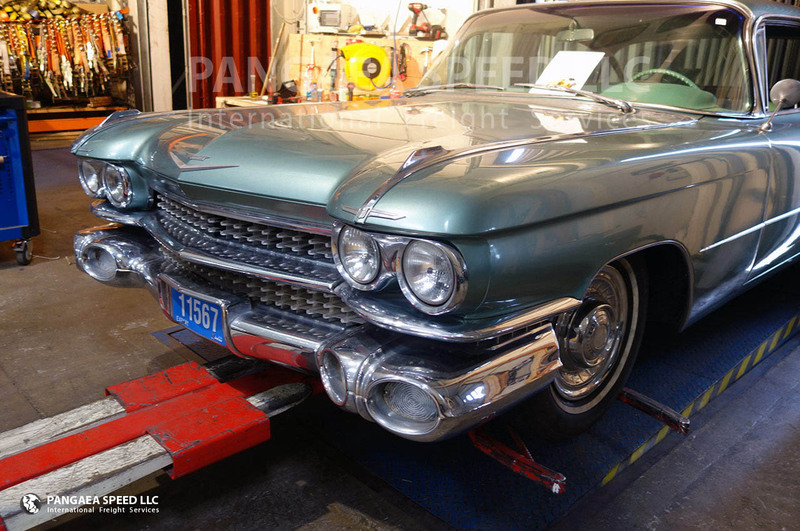 Traders and private clients value our additional services such as technical pre-inspection and the safe payment by our escrow service. 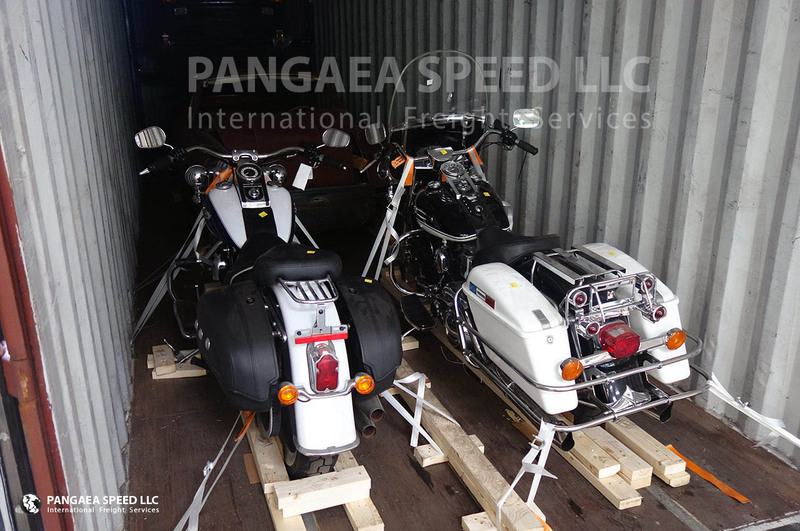 Beside cars, we also ship motorcycles, household goods, removals and commercial cargo in our own consolidated containers to England. Customers relocating from/to the UK and need Full Containers (FCL) will receive tailor made quotations after a free and non-committing survey. 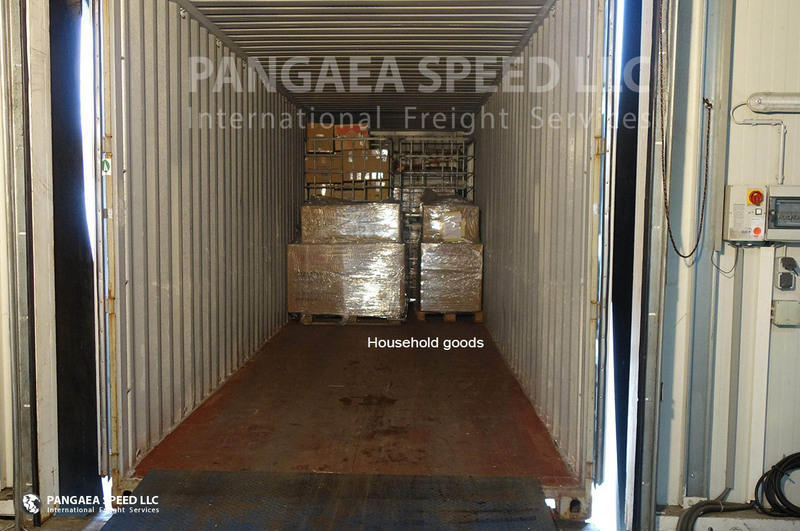 Pangaea Speed operates its own moving crew with selected handymen. 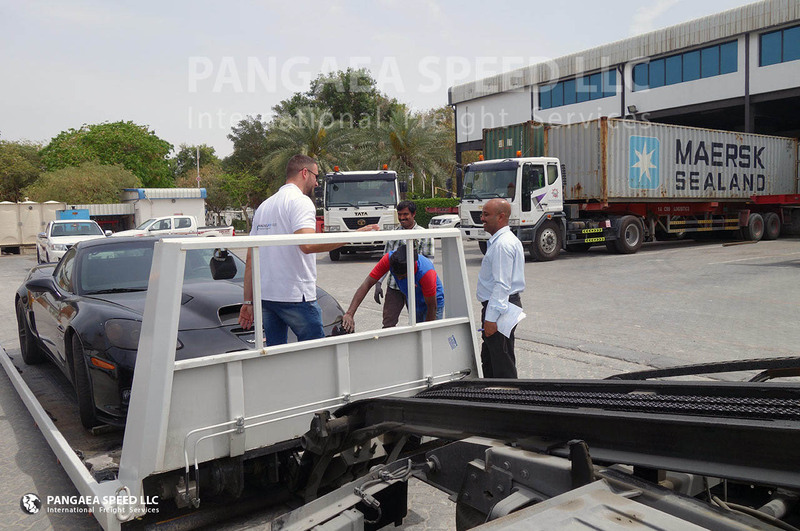 Via our Jebel Ali hub, we arrange quality transshipment from Bahrain, Qatar and Oman. 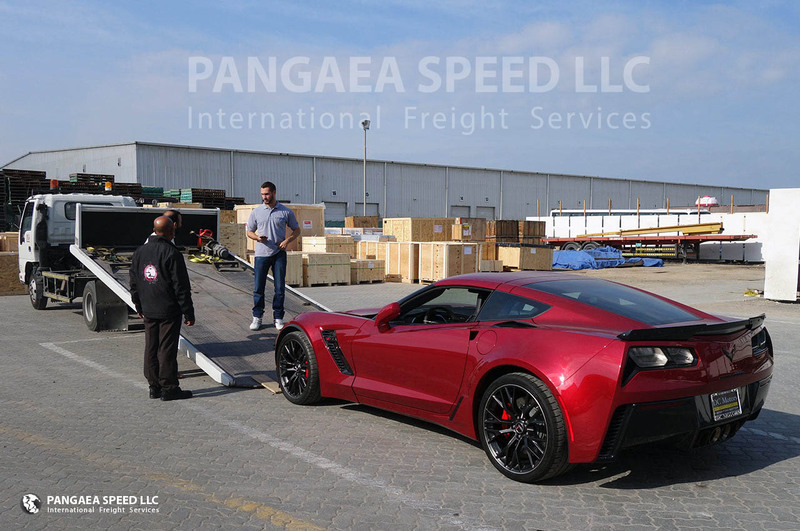 Pangaea Speed is the official shipping partner for COPART (Middle East). 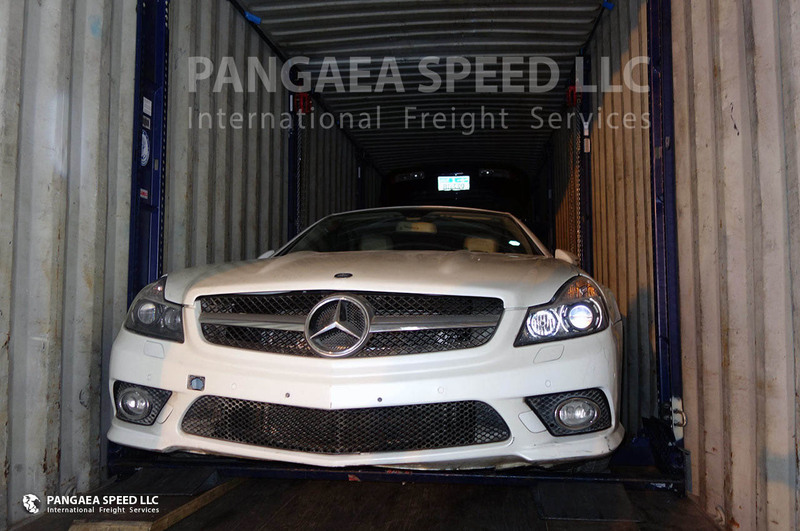 Pangaea Speed LLC is the Middle East branch of the Pangaea Logistics Group, specialized in global automobile shipping. 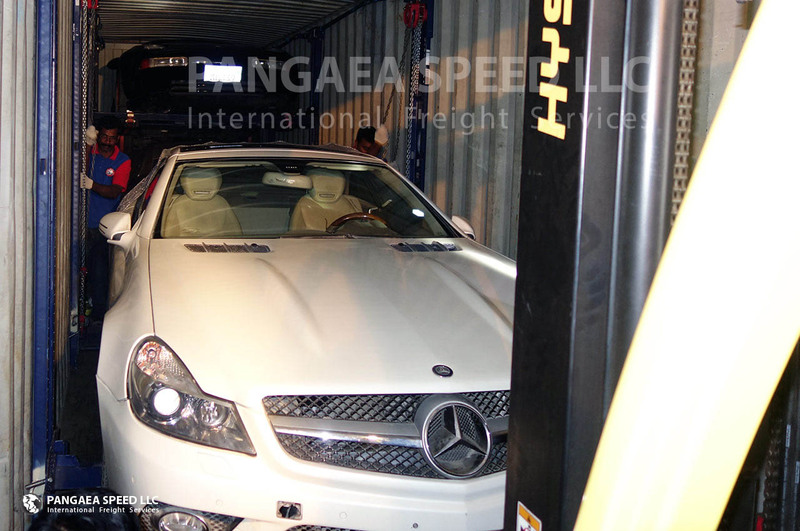 As market leader for individual vehicle shipping in the United Arab Emirates and neighboring GCC States we provide sustainable and professional car shipping from and to the Arab Gulf, offering latest loading and lashing techniques.